ABC just updated their iPhone app to allow Live Streaming. Currently this feature is only available to residents in New York City and Philadelphia. The preview is set to end on June 30th and they will constantly be adding more cities. If you want to watch ABC live early before your city is announced we have found a way to do it. You will need to have a jailbroken iPhone for this to work and you are limited to whats currently live in the selected cities. 1. Open up Cydia and download a fake GPS location app. I choose to use LocationHolic. 2. Open up your fake GPS location app and set your location to either New York City or Philadelphia as these are the only participating cities at the time of writing this article. 3. 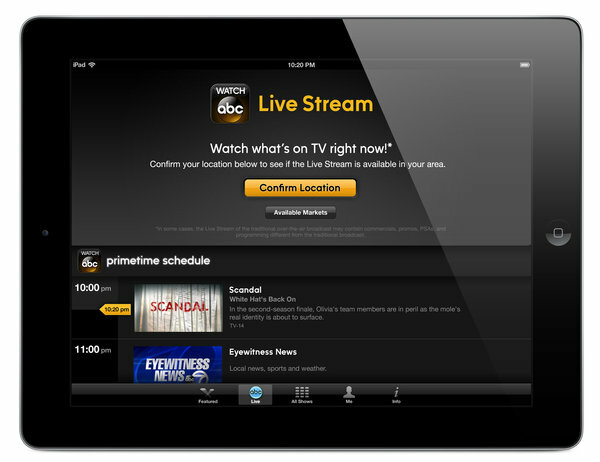 Now open up Watch ABC and enjoy live TV on your iPhone!